MELBOURNE, Fla., September 24, 2018 — This afternoon, Guacamole became the first adult green sea turtle released by Brevard Zoo’s Sea Turtle Healing Center. A crowd of hundreds gathered to watch the 200-plus-pound reptile wade her way into the ocean. 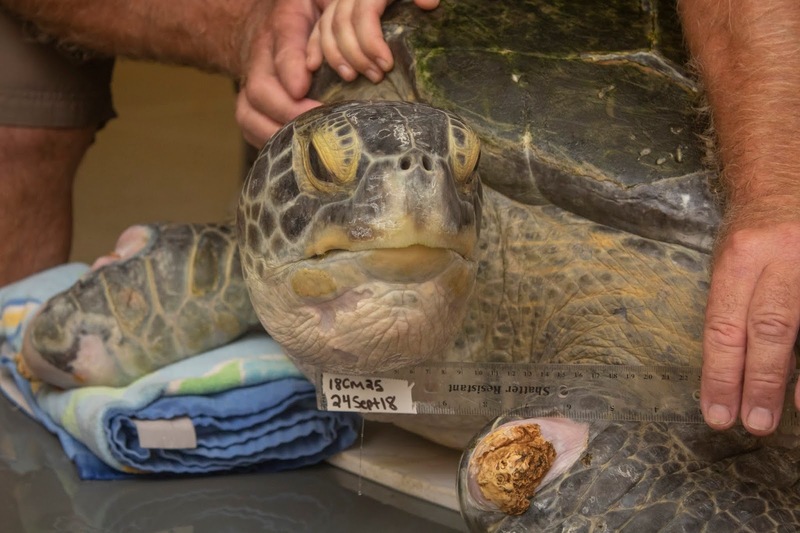 Guacamole was missing most of her right front flipper and had several lacerations when admitted to the Healing Center. The Zoo’s experts treated her wounds with medication and honey, assisted with her eating and eliminated a parasitic infection before deeming Guacamole ready for release earlier this month.